In our free SDU Tools for developers and DBAs, we've added a lot of scripting tools. 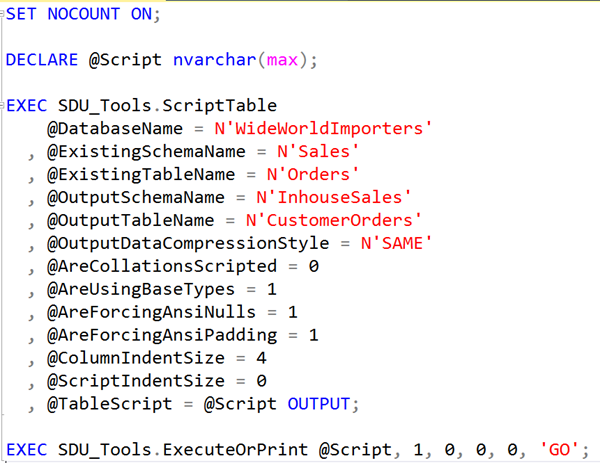 The tool that I'm describing today is one of the most sophisticated tools in our scripting options. It's ScriptTable. It's very flexible. For example, it can change the name of the table, or the schema that it's in. It can force ANSI_NULLS and ANSI_PADDING on or off. It can change user-defined data types to their base types, change compression strategies, and more. Have a bunch of pesky collation settings that you didn't want? It can remove them too, and it can let you choose things like the indents to be used during scripting. I've mentioned that one key advantage of having these scripting procedures and functions is that you incorporate them into other applications, and programmatically perform the scripting if you need to. But if you just want to create a script, that works too. 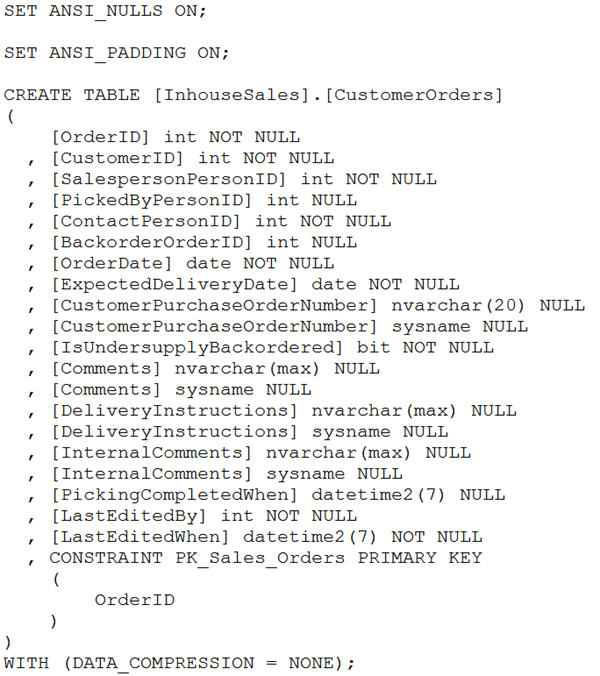 Previous Previous post: T-SQL 101: #2 What is T-SQL?